Hermán Julio Brady Roche was the Minister of Defence of Chile under the dictatorship of the General Augusto Pinochet between 1975 to 1978 and, therefore, he was one of the leaders of the military junta governing Chile. 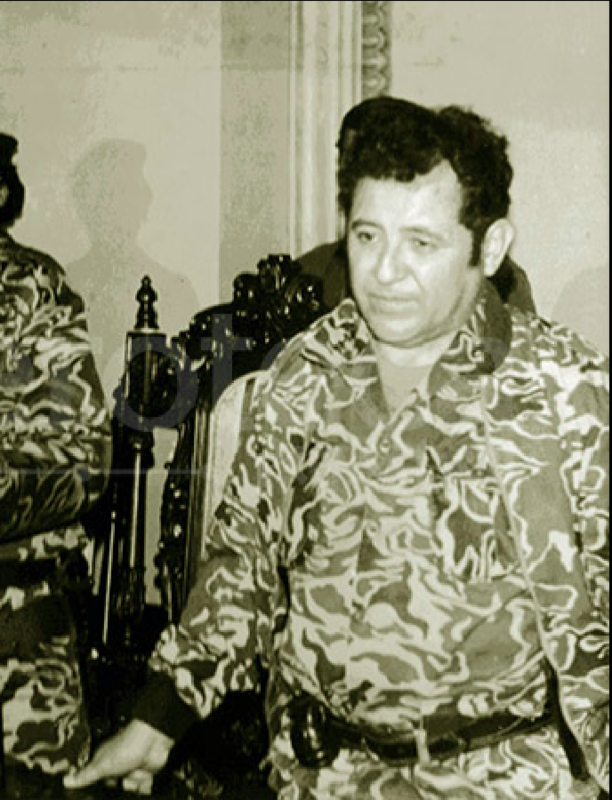 During the Coup d’Etat of 11 September 1973, he was the Commander in Chief of the Second Division of the army, chief of the garrison in Santiago. After the enforcement of the state of emergency in the region of Santiago, he was the highest military authority in Santiago after Pinochet himself. After the arrest of Pinochet in London in 1998, Brady Roche was accused of being responsible for many forced disappearances which included those of the twelve people close to Salvador Allende present in the Moneda Palace and murdered near Tacna (the French-Chilean Georges Klein), that of the American Charles Horman, and that of the Hispano-Chilean diplomat Carmelo Soria. Brady Roche was prosecuted in Chile, Spain and France for the forced disappearances that had taken place in the Moneda Palace, but only the procedure in France resulted in a sentence of 30 years imprisonment on 17 December 2010. 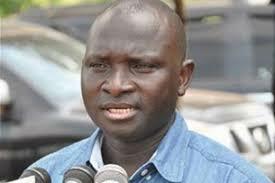 However, he died on 16 May 2011 before his conviction could come into effect. Brady was arrested on 3 February 2004 in Chile for complicity in the forced disappearance of Franco-Chilean Georges Klein and 11 other detainees who had disappeared from the Moneda Palace and had been kidnapped and murdered in Tacna (those other 11 disappeared detainees are Jaime Barrios Meza, economic adviser of Allende and manager of the Central Bank of Chile, Francisco Escobar Daniel Cruz, chief of staff to Interior Deputy Secretary, Enrique Huerta Corvalán Lelio, steward at the Moneda Palace, Claudio Jimeno Grenda, advisor to the Secretary General of the Presidency; Oscar Reinaldo Rios, Juan José Montiglio Murúa, head of the presidential guard Grupo de Amigos Personales (GAP), Julio Hernan Moreno Pulgar, a member of the GAP, Arsenio Poupin Oissel, central committee member of the Socialist Party and Deputy Chief of Cabinet Secretary, Fernando Tapia Julio Martinez, member of the GAP, Oscar Enrique Valladares Caroca, member of the GAP and Juan Alejandro Vargas Contreras, a member of the GAP). According to the Rettig Report (Report of the National Commission for Truth and Reconciliation), the bodies were exhumed by the army in 1978, carried in Puma and thrown overboard to make them disappear and to clear all the traces of the crime. 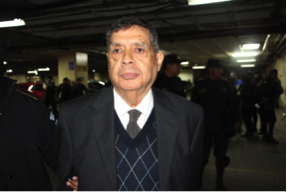 General Ramirez Pineda, commander of the division of Tacna and also charged with seven other soldiers before Judge Juan Carlos Urrutia, had in fact relied on orders from Brady Roche in his defence leading to his indictment in February 2003. However, the Court of appeal ordered his conditional release on bail, on 6 February 2004 and thereafter on 5 May, confirmed his conviction for aggravated homicide. In 2008, the Court of appeal convicted only three officers in this case giving them a very light punishment (200 days of imprisonment). However, the investigation was reopened regarding other relatives of Allende at Moneda Palace present on the day of the coup and murdered in Tacna, including Luis Fernando Rogriguez Riquelme, a member of the Grupo de Amigos Personales (GAP, the bodyguard Allended created as a result of the mistrust with the army). In May 2008, eight soldiers, including General Brady and Brigadier General Pedro Espinoza were charged with their disappearance. Despite his hospitalization in 2010, the request by Brady’s defence to avoid these trials on the grounds of insanity was rejected in November 2010 by the Court of Appeal in Santiago. Being the Commander-in-Chief of the garrison in Santiago at that time, Brady Roche had been a subject of a complaint in Spain accusing him of genocide and terrorism for the assassination of Hispanic-Chilean diplomat Carmelo Soria in 1976, a member of the United Left, and the torture and murder of priests Juan Alsina and Antonio Llido Mengual (in 1973 and 1974, respectively). The Supreme Court of Chile closed the case regarding Soria, suspending the prosecution in 1996. He is also subject to the international arrest warrant issued on 9 May 2001, by magistrate Baltasar Garzón. Nevertheless, on 31 May 2002, the High Court dismissed the charges under the principle of non-extraterritoriality of Spanish law, attracting criticism from Amnesty International and other civil rights organizations. This decision however, was quashed and annulled by the Spanish High Court on 3 March 2004. It examined the validity of the law on universal jurisdiction promulgated by Spain. However, the court found itself competent to exercise jurisdiction in this case under the principle of passive personality jurisdiction, namely the Spanish victims, relying on a particular decision of 25 February 2003 regarding the genocide in Guatemala. In 2009, the Spanish judiciary therefore decided to maintain the charges pertaining to Soria against Brady Roche and the members of the Brigade Mulchen of the DINA (including General Raúl Iturriaga) and other ex-ministers and military officials (the head of the DINA Manuel Contreras, Brigadier General Pedro Espinoza etc.) who were held materially responsible for the execution. In 1998, Brady Roche was charged in France for the disappearance of the Franco-Chilean Georges Klein. The trial began before the Assize Court of Paris under the principle of passive personality jurisdiction (i.e. French nationality of the victims), not the principle of universal jurisdiction. The trial was held in absentia and the court sentenced him to 30 years of imprisonment on 17 December 2010 along with other charged officials of the Chilean dictatorship. Particulars: Sentenced to 30 years imprisonment on 17 December 2010. He died on 16 May 2011 before his conviction could come into effect.